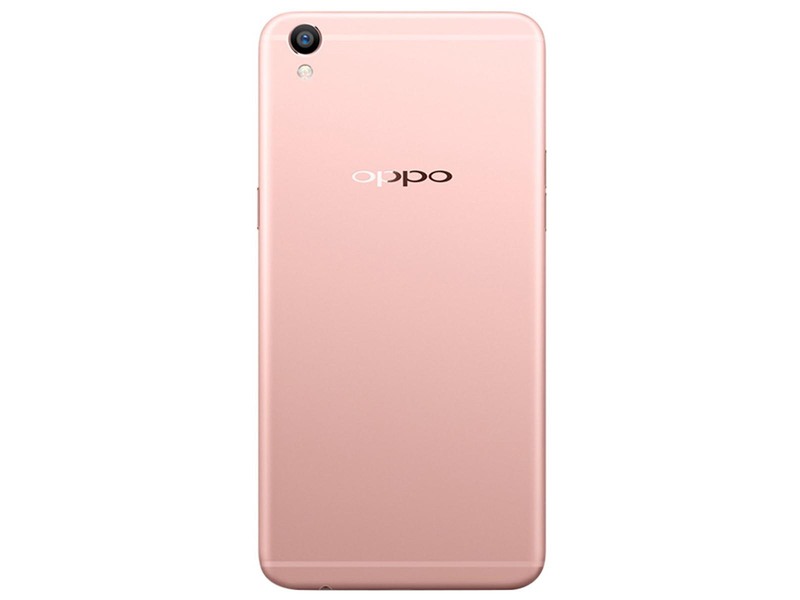 OPPO has launched a new campaign for their consumers this Valentine’s which gives thema chance to win an all new OPPO F1s Rose Gold Limited Edition. Under this campaign that goes live on the 7th February 2017, a video starringthe ‘IT’ couple of Bollywood–BipashaBasu& Karan Singh Grover is being released. Karan Singh Grover is seen perfecting his memories with his lady love by gifting her an OPPO F1s Rose Gold Limited Edition, whichmakes their day special. 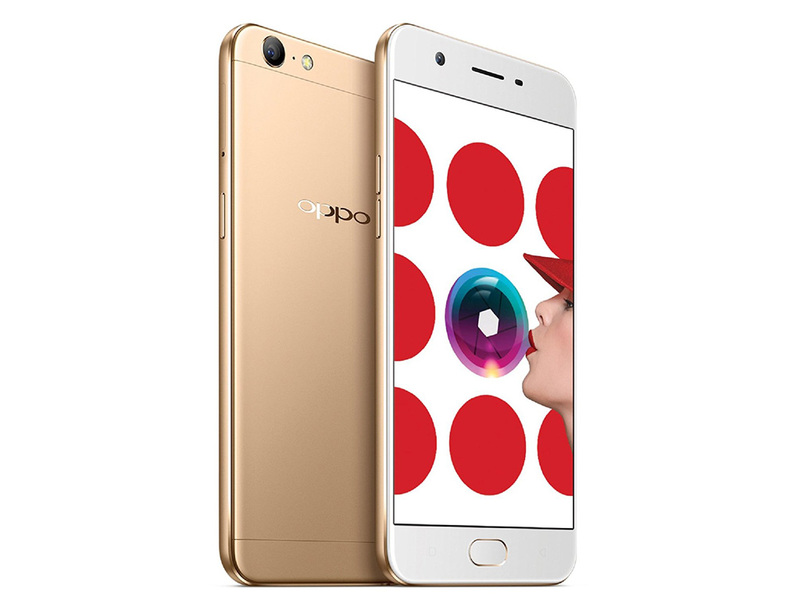 To win the unique rose gold limited edition with a genuine signature form thecouple, consumers will need to enter a contest run on OPPO’s social media platforms and share this video with their friends. Lucky few will stand a chance to win the phone when the contest ends on February 14th 2017. So get set to share the video and win something amazing for your loved ones! Overall, the OPPO F1s (Amazon) is a sleek, well-made smartphone with features that really matter. At this price point, it won’t have many competitors that can offer 3 GB of RAM and 32 GB of flash storage. And no one else will offer a 16 MP front camera for the ultimate selfies. So if selfies are your “thing”, the OPPO F1s is really your only choice in this price point. 65% Will this iPhone look alike live up to its name? The Oppo F1s isn’t a premium phone even though it tries to look like one. It lives up to being a Selfie Expert provided you have the right lighting. However, the selling point of the Oppo F1s is its price, which is just AED777, which is quite amazing for the features you get. While the F1s partially addresses these concerns by selling at a slightly more reasonable RM1,198, you get a lot less bang for your buck as it still suffers being a defiantly mid-level phone. A bump in the camera specs or the inclusion of VOOC might have sweetened the deal, but without them, the “s” in the F1s is more of a sidestep than an upgrade. The Oppo F1s is another nicely delivered device from Oppo, they’ve got a nice (but not mind blowing) 5.5” screen and not only a good quality, rear facing camera but an outstanding selfie camera. 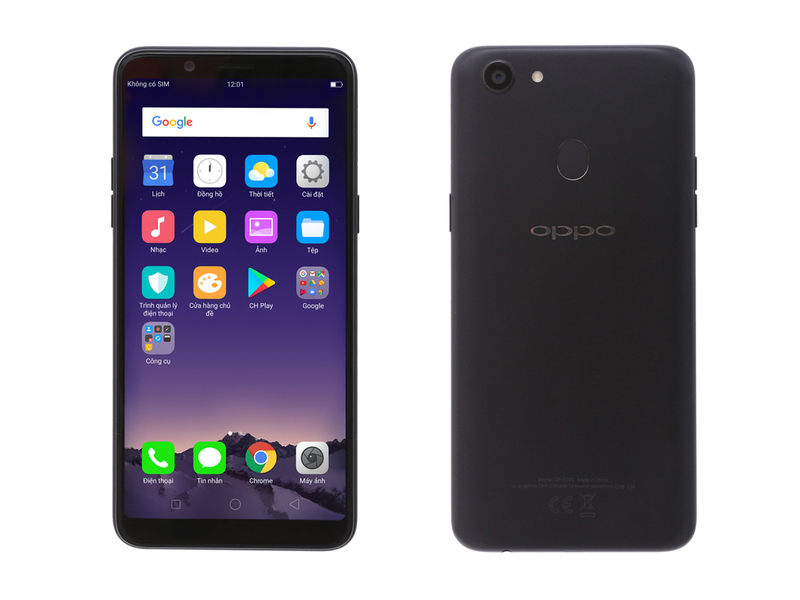 Starting with the outright price there's a lot to like about the F1s, there are unfortunately a couple of deal breakers for higher end users - but that is outside the target market for Oppo. Overall, the OPPO F1s is a sleek, well-made smartphone with features that really matter. At this price point, it won’t have many competitors that can offer 3 GB of RAM and 32 GB of flash storage. And no one else will offer a 16 MP front camera for the ultimate selfies. So if selfies are your “thing”, the OPPO F1s is really your only choice in this price point. The Oppo F1s retails for P12,990 pesos price or roughly $300 USD which is a bit overpriced with its low res display, mediocre back camera, and dated OS. But if you just wanted to have a decent Android experience on top of solid battery life, premium build, and great selfie camera, this makes the Oppo F1s one of the good choices. Still, we’d love to see the F1s compared against the mid-range Galaxy C series, Xperia XA, and the new Zenfone 3 so stay tuned for that. OPPO indeed created a selfie expert with the F1s. Its 16-megapixel front camera not only takes detailed shots, but also performs very well in dark areas. We wouldn’t mind it not having a dedicated front flash since it could capture decent images thanks to its F2.0 aperture. As an everyday device, the F1s also didn’t disappoint as it could take on normal tasks and doesn’t choke when a lot of apps are open. By no means is the OPPO F1s a spectacular smartphone. There really is no going around that, despite the marketing. For what it’s supposed to do, it does it well, but not to the point of overtaking the more premium, and more expensive, competition. And although it falls short of becoming a perfect selfie machine, it does earn its keep as a Selfie Expert. It’s just one of those phones you think might be a bit of a let-down, but it ends up over-performing in nearly every area. Whether that’s down to my own expectations or the phone’s capabilities is up in the air, though. Either way, it’s easily one of Oppo’s best phones to date. The F1s also does a lot of things well. It's up for sale in markets such as India and, software aside, is a very nice phone. Hell, even the software it's got is okay — it's just dreadfully out of date. Fix that, and you've got a lot of phone for not a whole lot of money. Following up on the success of the F1 Plus, the OPPO F1s is a rather good addition to the line up. It isn’t quite the all out performer that some people might have been hoping for but from a photography perspective, the F1s delivers on the promise. Shots taken from the phone via both the front or rear cameras tend to be amongst the best in the category. The OPPO F1s is priced at Rs. 17,990 and will be available in Gold and Grey colors. 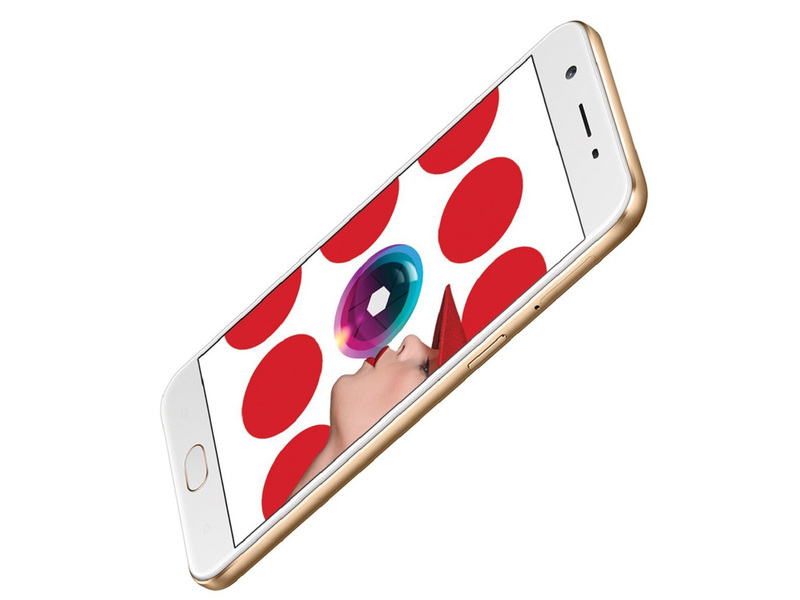 The Oppo F3 Plus is an interesting take on the ever-popular "upper midranger" formula. A cool one, in fact. A capable Snapdragon 653 chipset is backed by a generous helping of RAM and storage, at 4GB and 64GB respectively. Solid imaging experience is one of the highlights too, courtesy of a 16MP, OIS-enabled, Dual Pixel camera. The OPPO F3 Plus as its name suggests is an outright selfie expert. There are a very few phones that can hold a torch to the front camera abilities of the F3 Plus and even the few that can would perhaps lose out on certain aspects such as detailing etc. The OPPO F3 Plus is a smartphone for those who love to click self-portraits; be it with their friends and/or family. Everything else is secondary. The rear camera is good but not class leading, the audio quality isn’t that great and the size is a bit big for many too. Overall, its a decent handset at best but it truly does excel at the selfie game and if that is your primary use case then this smartphone is the one for you. If not, then you would be better off looking at other options in the price range. The OPPO F3 Plus retails at around Rs 30,990 and is available on Amazon, Flipkart etc. At Rs 30,990, the F3 Plus is an extremely solid offering from Oppo and features great battery life and one of the best front cameras around. However, the unpolished UI, average rear camera, lack of stereo speakers and commonplace design hold it back from being truly exemplary. The Oppo F3 Plus is the best selfie-centric smartphone we have tested so far. It performs well, has decent battery life, but a larger footprint may not suit everyone. So how will the OPPO F3 Plus stand out from a host of eerily similar smartphones? The company is carving a niche market that caters specifically to a selfie-loving crowd. A crowd that, more often than not, is composed of a younger generation that is more budget-constrained, if not budget conscious, than the target market of high-end premium smartphones. Big screen? Check. Large battery? Got it. Selfie camera? Obviously, check, twice even! Sub $500 price tag? Of course. Oppo F3 Plus has only one competition on the dual selfie camera front: vivo V5 Plus. 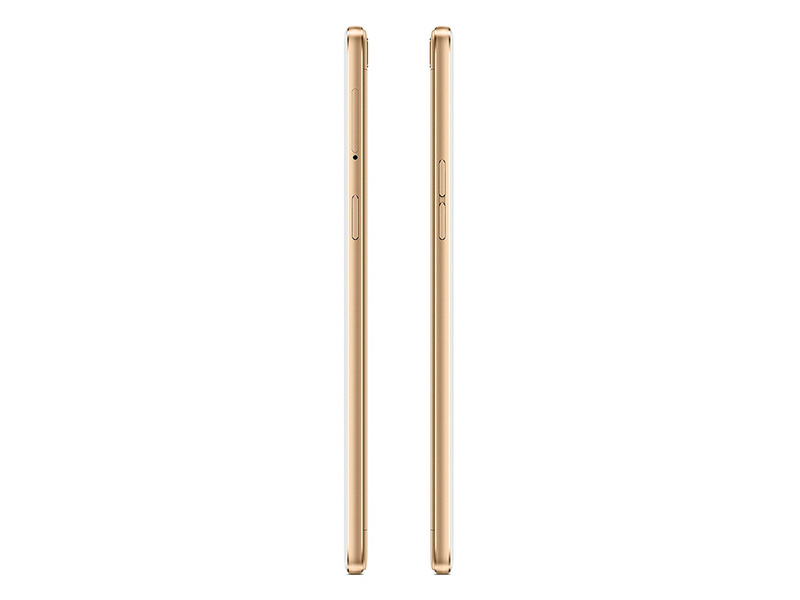 Both the smartphones feature similar specifications, and look very similar. But Oppo is charging extra for its brand, and the focus is entirely on the selfie. It’s also going to be available both offline and online in India, and the former is still a big chunk of the market in India. So if you care about your selfies too much and don't mind paying a little extra for a big smartphone that comes with an old version of Android out-of-the-box, go for the Oppo F3 Plus. Otherwise, OnePlus 3T is a much better alternative. With my experience of the Oppo F1 Plus in mind, I really wanted to like the Oppo F3 Plus, despite its larger than usual size. The design was spot on, the hardware is powerful and the battery life is great. But its imaging chops are a let down when you have used the F1 Plus and see how much more it delivered last year, something that is clear from its success in sales for Oppo as well. Oppo has priced the F3 Plus at Rs. 30,990, which is considerable premium over the brand's usual offerings. The F3 Plus faces tough competition from the OnePlus 3T and Samsung Galaxy A5 (2017). In fact, you can even find the LG G5 selling for as little as Rs. 32,000 online. OPPO’s latest selfie-centric phone is one of its biggest handsets yet. As a likely successor to the F1 Plus, it’s got a large display and powerful specs but the main attraction are its dual front-facing cameras that combine shooting wide and beautiful. For the most part, OPPO F3 Plus is a commendable Android phone or say a phablet thanks to its 6-inch display. It definitely packs power and juice but what makes us think twice about it is the Color OS. The OPPO F3 Plus has definitely received a tremendous upgrade from the Chinese company’s previous selfie expert, the OPPO F1s. It’s new hardware makes it a capable daily driver and its front cameras would certainly make selfie aficionados happy. We’re also happy to see that OPPO has brought over the main camera of the R9s to round out the camera capabilities of the F3 Plus. The only thing that may deter people from purchasing the OPPO F3 Plus is its asking price of Php 23,990. Đánh giá "chuyên gia selfie" OPPO F3 Plus: 10 triệu liệu có đáng mua? For someone looking for a selfie focused device, the Oppo F3 makes for a great, if cautioned buy. While the smartphone comes with a very impressive dual front camera setup, decent battery life and above average looks, the rear camera is mediocre, the display is washed out, the UI is unpolished and the processor is weak. Selfies, whether you’re fond of them or not, is one of the driving factors for device-makers to produce smartphones with good front cameras. 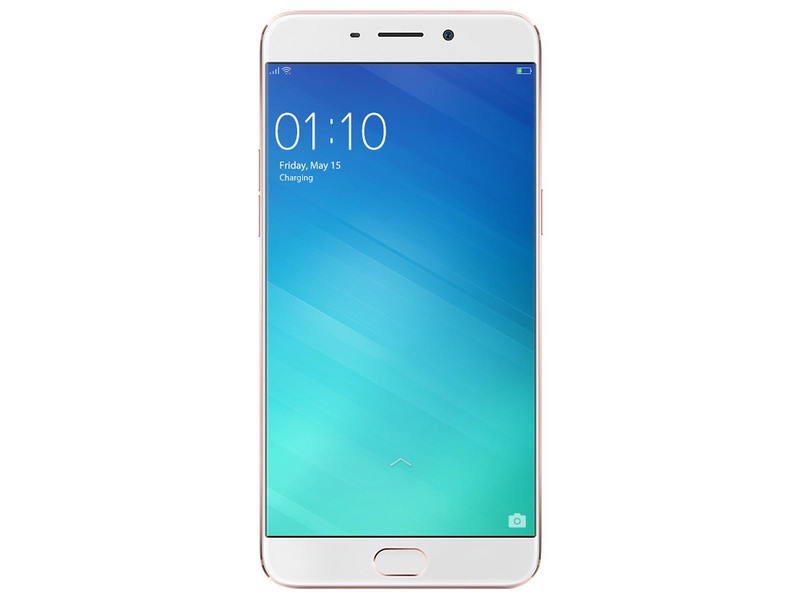 OPPO is one of those brands that continue to heavily invest in the said feature and one of their latest offerings is the OPPO F3. OPPO F3 Review: Is This The New Selfie King? If you’re the sort that prioritizes excellent selfies and snaps in the phones you’re looking to buy, then OPPO’s F3 is the perfect phone for you. You’ll be the hit at family gatherings like weddings and the like since getting everyone into frame won’t be a problem with the 8-megapixel front camera. It also takes amazing selfies. The Oppo F3 is priced at Rs. 19,990, which we feel is a bit on the higher side considering the processor it's packing. However, there isn’t much competition right now as it's the only smartphone in this segment with this sort of dual camera feature. If that doesn't matter and you’re looking for a bit more power under the hood, then you always have the Moto G5 Plus. The OPPO F3 is a recommendable smartphone for those who are fond of selfies. At Php16,990, it’s also a more affordable offering for those who don’t have a budget for the OPPO F3 Plus. There are trade-offs, of course, like the weaker MediaTek processor and lower rear camera resolution. Still, it’s not that bad since you’re also getting some advantages like triple slots, higher pixel density, and smaller, more comfortable build. HTC U11 Review: Squeeze It! The HTC U11 has a great potential that we are looking forward to unlocking and testing for a longer period in the field. From our short exposure to it, and from the technical data we have gathered, the timing of its launch places HTC firmly in the high-end race of Android phones – before a flurry of other Snapdragon 835 phones arrive on the market. Oppo F3 is a good buy thanks to its good overall performance. Of course, it excels in the selfie department, but you can’t ignore the design, battery life and performance. Go for Oppo F3 if you have a Rs 20,000 budget, and are looking for a device that does not compromise on most fronts. The phone is a toned down version of F3 Plus, which almost costs Rs 31,000. If you were waiting for an affordable F3 Plus, then F3 is a pretty good deal for you. On the whole OPPO F3 is one of the real contenders in the mid-range segment offering a good blend of performance, looks, and selfies. In an attempt of imitating its bigger brother, OPPO F3 do manage to deliver what it has to, but with few compromises. If you are looking out for a camera-centric smartphone, with a selfie as your main focus, blindly turn towards OPPO F3, otherwise, there are lots of options. The Oppo F3 is an average smartphone, except in terms of selfies, where it excels. It’s not the best phone overall, with the Moto G5 Plus, Xiaomi Redmi Note 4 and some others being better overall performers. 81% Oppo F3 Review: One More into the Selfie Breach! But then as its high-profile ad campaign keeps stressing, the Oppo F3 is targeted at those who put themselves first. In the photographic sense at least. And for less than Rs 20,000, you would be hard-pressed to find a better weapon to shoot yourself… in the phone camera sense, of course. The Oppo F3 price places it in the mid-range for smartphones. This smartphone may not be for everyone given the MediaTek processor and average back camera. But the device performs and shines on the features that it focusing on. You get a well-crafted metal body with some plastic bits, a quick fingerprint reader, decent software and class-leading selfie camera in a slim package. In case you missed our recent Oppo F3 Plus review, the phablet left us with mostly positive feelings. Looking at the bigger picture, a good deal of Oppo's marketing has always had a camera-centric angle and the "Selfie Expert" is more than just a catchy phrase. That story goes all the way back to the rotating cameras in the Oppo N-series. 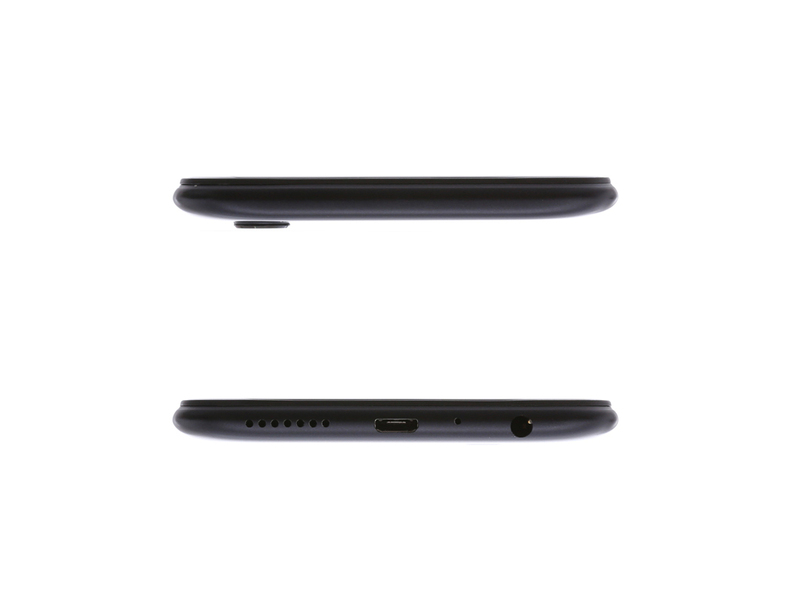 The device extracts power from a 3200mAh battery and comes with two SIM slots and one MicroSD card slot. For other connectivity options Oppo F3 comes with 4G VoLTE, Wi-Fi 802.11 a/b/g/n/ac (2.4GHz and 5GHz), Bluetooth v4.0, GPS/ A-GPS, 3.5mm audio jack, and Micro-USB. Oppo F3 Review, a brilliant device with brilliant features such as 64GB ROM, 4GB RAM, dual front camera lens and many other. The device is brilliant because it has mega features in very affordable price range. Oppo f3 has not any bad function at all and we have tested it in every way. It is ready to entertain you in every possible way. Oppo F3 seems to a well-built and good looking device. At Rs 19,990 it is priced on the higher side but if delivers a good overall performance as claimed by the company it can be considered. So know about it performance in real like scenario keep a look out for our review. Also, in the under Rs 20,000 price segment, Oppo F3 faces stiff competition from Vivo V5s which is priced at Rs 18,990 and Gionee A1 which is priced at Rs Rs 19,999. The Vivo V5s comes with a single 20-megapixel front camera and has almost same specifications as Oppo F3. Gionee A1 comes with a better processor, better battery but with an only single front camera. Since OPPO is asking for quite a fair amount of money for the F3, we feel that the company could have put in a better performing chipset. We’ll have to see though if the processor is up to the task of taking on the rigors of daily use. From our short time with it the F3 performed well, without any hiccups in navigation or use. The phone unfortunately only has Android Marshmallow on board, and comes with the company’s ColorOS UI overlay. 73% Oppo F3 Review- Dual Camera Selfie Expert? 67% Đánh giá chi tiết Oppo F3: Liệu có phải kẻ kế thừa xứng đáng? 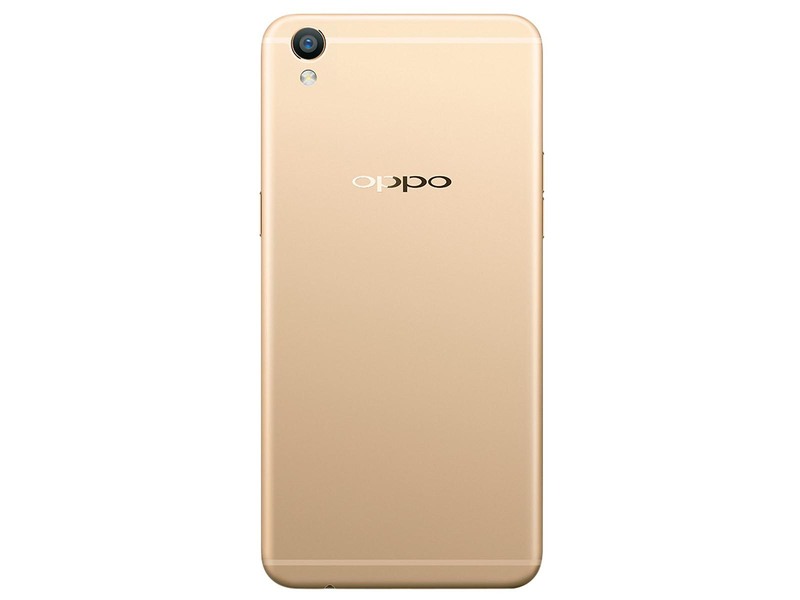 Đánh giá Oppo F3: Selfie góc rộng có đáng tiền? The Oppo F5 is an interesting smartphone that does many things right and will rarely betray its price point. Looking at it, handling it, living with it we have certainly come to appreciate that Oppo's success is no coincidence. The attention to detail is very high. It's a phone that looks good and feels good, and provides a generally non-frustrating experience when you use it - once you get accustomed to the speed of its mid-range chipset, that is. OPPO F5 is for those who don’t mind paying a premium for some great selfies, even if there are more well-rounded options at a lesser price in the market. The Oppo F5 will give you every feature that’s in trend right now — An 18:9 display with slim bezels, a bright red colour variant and a high resolution selfie camera. But that’s just on paper. When you try using the phone in real life, the features seem half baked. Moreover, the Rs 24,999 seems too expensive for the internal hardware the phone sports. If you don’t want to accept the natural imperfections of your face, this selfie-centric phone should keep you happy, but anything authentic and you will be cursing the phone like anything. Apart from being more powerful thanks to its 6GB ram, it is a good-looking smartphone that captures nice portraits enhanced by A.i. Beautification Technology. OPPO F5 6GB has a larger storage and a better processor with 6GB RAM+ 64 GB ROM with an exquisite black/red appearance while the OPPO F5 comes with 4 GB Ram + 32 GB ROM and is available in Black and Gold. With enough storage, users will have a smoother operation experience and the stylish and fashionable colors will ensure that you are fashion savvy. With Oppo F5, it comes down to three things – stylish design, display and camera. Oppo F5 makes for a good option for selfie buffs, who need a larger-screen. Oppo F5 is a good option for its overall performance, though be prepared for less storage if you want this for under Rs 20,000. Alternately one could also look at an option like Honor 9i, which offers four cameras and a bezel-less display at Rs 17,999. Honor 9i stands out for its cameras, and is capable of churning out some really good shots even in low-light. OPPO F5 offers as many features and if you aren’t familiar with selfie phones, you may try out the OPPO F5, it looks promising with its large display, good battery life, and a camera that takes selfies with bokeh effect. Things like low storage and the lack of a front LED flash isn’t impressive. Some alternatives we suggest are the Honor 9i and Vivo V7+ before you make up your mind. Since shopping for a mid-ranger in 2017 is all about minimizing compromises, rather than actually avoiding outright bad devices, as was the case not long ago, you can hardly go wrong. And for the right type of customer, the Oppo F5 might be well worth considering. For Rs 19,990, the Oppo F5 is as good as smartphone you can get. Most importantly, it lives up to the promise of being an excellent selfie centric smartphone. Add to that its impressive display, good battery life and solid all-round performance makes it a strong competitor in an already crowded segment. With many mid-ranged 18:9 display handsets that are coming out today, despite not having a dual camera the F5 has the greatest photo output in our opinion. It may not be the best at performance but it’s definitely a good phone for selfies. The Oppo F5 is available in local and online stores retailing $320 or at PhP 15,990. Comment down below what you think. The Oppo F5 is undoubtedly a unique smartphone. Not only is it the selfie king of its segment, as are most Oppo smartphones, but those selfies are genuinely stellar thanks to artificial intelligence. It's battery life is also a highlight and so is facial recognition which works surprisingly well. The edge-to-edge display might not be spectacular but is a nice futuristic bonus. Oppo has delivered a winner with the F5. It succeeds on multiple levels - it's very attractive, it has a large immersive screen without the usual bulk of a phablet, the cameras are both competent in multiple conditions, battery life is strong, and performance is good enough for most tasks. Generally, there's a level of polish that we are happy to see. The only downsides are the gimmicky facial recognition feature and the relative lack of storage compared to other phones at this price point. 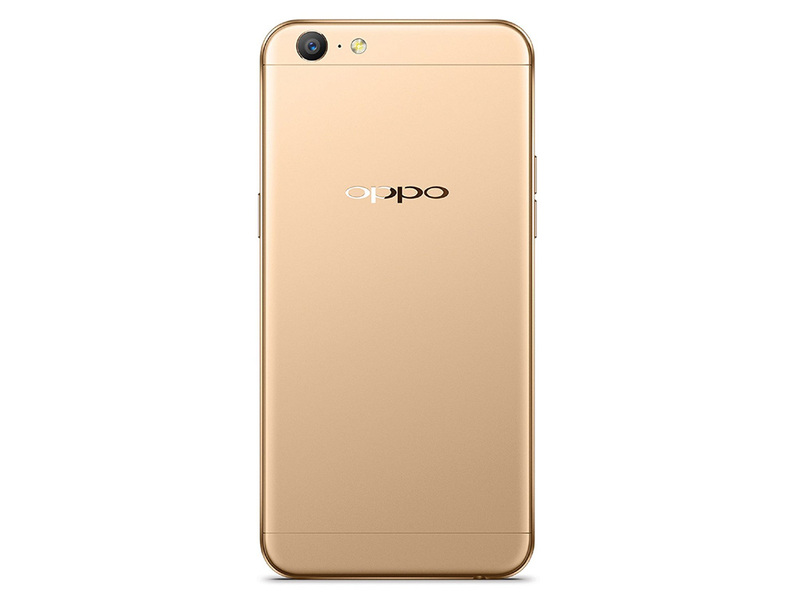 We would have liked 64GB, and Oppo's announcement that the 4GB/64GB version will cost Rs. 5,000 more is quite odd in this current competitive scenario. 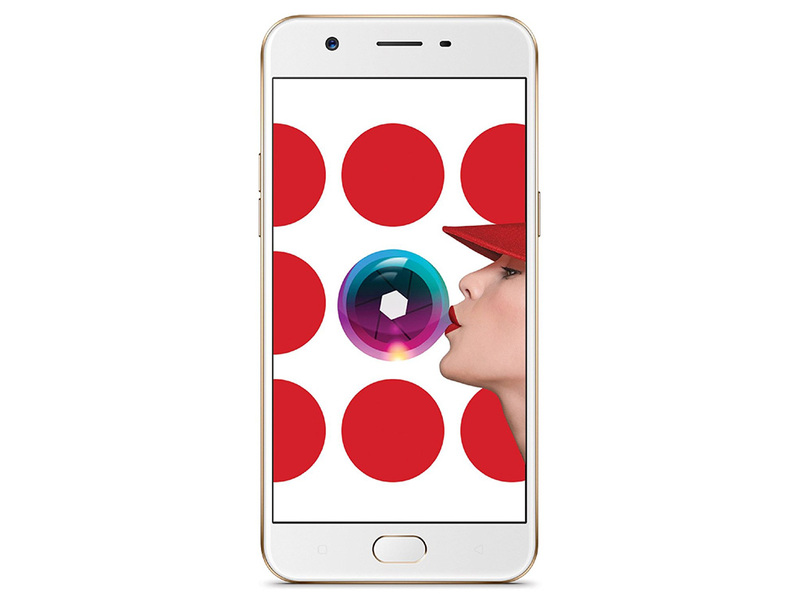 Oppo F5 is a perfect device with perfect features further it is loaded with extra ordinary features like 64GB ROM, 6GB RAM, 16MP camera lens, 3200 mAh battery etc. The device is specifically for those who like to have a big screen device with massive features. We have tested the device in every section and it can easily compete with the other giant smartphones like Samsung, IPhone and many others. As the phone made for selfies, the biggest advantage of the OPPO F5 lies within its front camera. It takes selfies with bokeh effects even with just one camera. OPPO F5 could be one of the selfie-centric smartphones and while it has the nearly bezel-less screen which could help compete with the rivals. 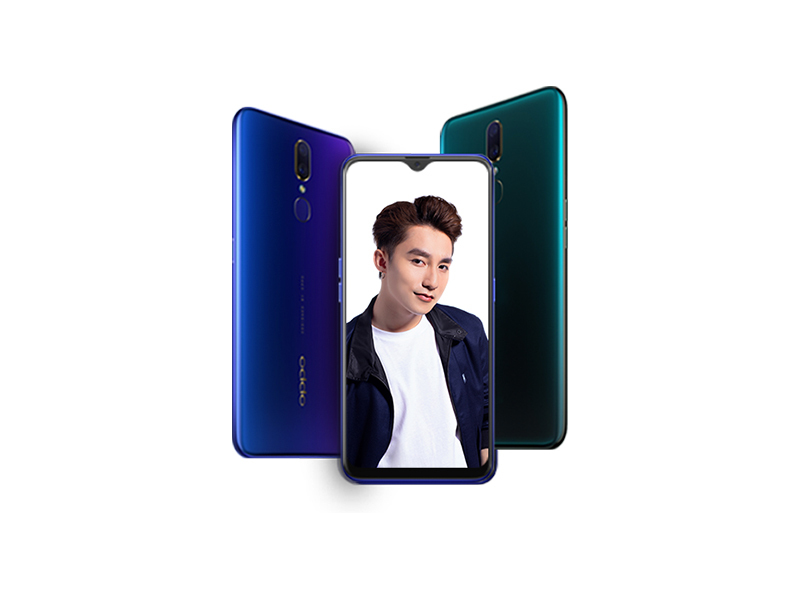 OPPO, the Selfie Expert& Leader, todayunveiled the OPPO F5, the brand’s firstFHD+ fullscreendisplay model in India, featuring the groundbreaking A.I. Beauty technology – a technology designed to personalize beautificationforsubjects on a selfie image. The A.I. Beauty technology will take selfie photographyto a whole new level of quality. Priced at INR 19,990the F5 (Gold and Black Edition)will go on sale from November 9thand will be available both online and offline.Two other models were also launched at the event, the F5 6GB edition INR 24,990 (Red and Black Edition) and the F5 Youth (Black and Gold Edition) to give OPPO fans and the youth more choices to suit their needs.These twovariants will be available in December. The Oppo F5 is a phone with plenty to show off. An ultra-slim surround and face unlocking are on-trend and not the sort of thing you tend to get in an affordable phone yet. As a whole, the OPPO F5 definitely fits the bill of a great option for those looking for a mid-range phone. Many may get dismayed by the use of an MTK SoC, but it (along with the 4GB of RAM) can put in some serious work. You also have a great Full-Screen 6-inch display at Full HD+ resolution if you’re looking to jump on the 18:9 bandwagon. The highlight for the OPPO F5 is its front camera with the AI beauty mode and if you’re looking for a phone that can take awesome selfies, the F5 should definitely be in your top 3. OPPO once again, took selfie technology to the next level, not by simply adding more megapixels in a camera or adding an extra sensor, but by introducing smart features, specifically the A.I. Beautification Technology. OPPO F5 Unboxing and Quick Review: A Smarter Selfie Expert? The OPPO F5 follows along what we’ve seen from the company with a few notable changes. The F5 still has a unibody design but they’ve made the switch from metal to plastic. There is, however, a metal-like coating on the back of the phone that still makes it cold to the touch. 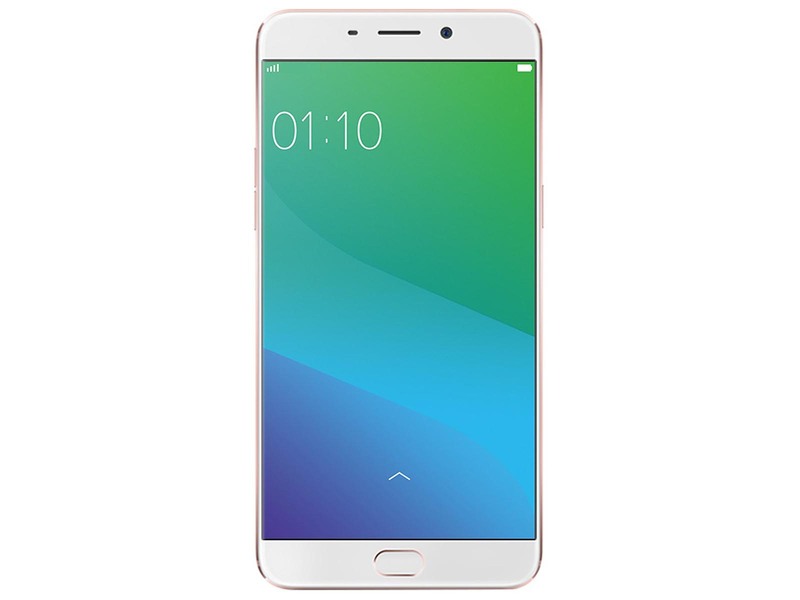 70% Đánh giá chi tiết Oppo F5: Cú lột xác hoàn hảo! The OPPO F5 Youth is basically a slightly toned down F5 since it has almost the same specifications except for the display screen type, RAM capacity, rear camera resolution, front camera resolution, and a little physical appearance difference. While we’re only starting our full review of the device, you can expect the F5 Youth to perform nearly as well as the bigger F5 when it comes to selfies and computational tasks, with the rear camera’s image quality taking a bit of a hit because of the lower aperture lens and lower resolution camera. But then again, we’ll have to find out in our full review to be absolutely sure. 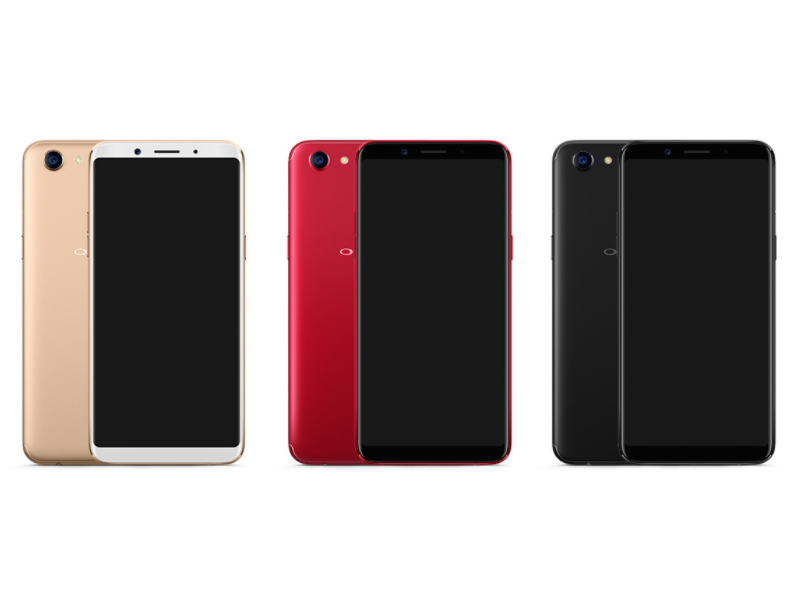 Đánh giá Oppo F5 Youth: Chiếc F5 "trá hình"
75% Đánh giá OPPO F5 Youth: Phiên bản "mini" của F5 có gì hấp dẫn hơn? Oppo F7 tried its best to pack edge-to-edge display along with company’s most touted 24-megapixel selfie camera. We do enjoy clicking selfies with its excellent front-facing camera and flaunt the new bezel-less display. However, Oppo F7 do comes with a tiny flaw including underwhelming processor performance and cheap plastic back housing. So, the Oppo F7 doesn't really excel in anything but selfie resolution. And yet it's not disappointing either. It has what it takes to be a successful mid-ranger and is priced accordingly. If you like it, you should go for it - it's that simple. Now, I'm not a selfie person, but I will say that the OPPO F7 is a pretty good phone overall despite the front notch design. This is mainly because I'm impressed with the new Helio P60 processor, its great battery performance, face unlock and even the camera quality. For just RM1399 (4GB + 64GB model), it's a good price and if you want a bigger memory, there's the 6GB + 128GB model for RM1699. One of OPPO’s strategy is to adopt the popular tech trends that are normally found in more expensive flagship devices, then implement them in their powerful mid-range devices at a lower price. They have successfully done that once again with the OPPO F7, and even released a 6GB RAM + 128GB storage variant for heavy users. Oppo F7 adheres to most recent trends including a notch, Full View display, a high-resolution selfie camera, and it also ships with Android Oreo. However, it lacks dual rear camera setup and this is where Vivo V9 can give the Oppo F7 tough competition. Overall, Oppo F7 is recommended for its good selfie camera, performance and battery life. Oppo f7 is an amazing device at an amazing price and with great specs like A.I beauty camera and 25MP front selfie camera. It has everything perfect except its interface because it doesn’t go with its design and I found the interface very unattractive. The multi-touch test scored full points, proves that it is an awesome device, try it you won’t regret! 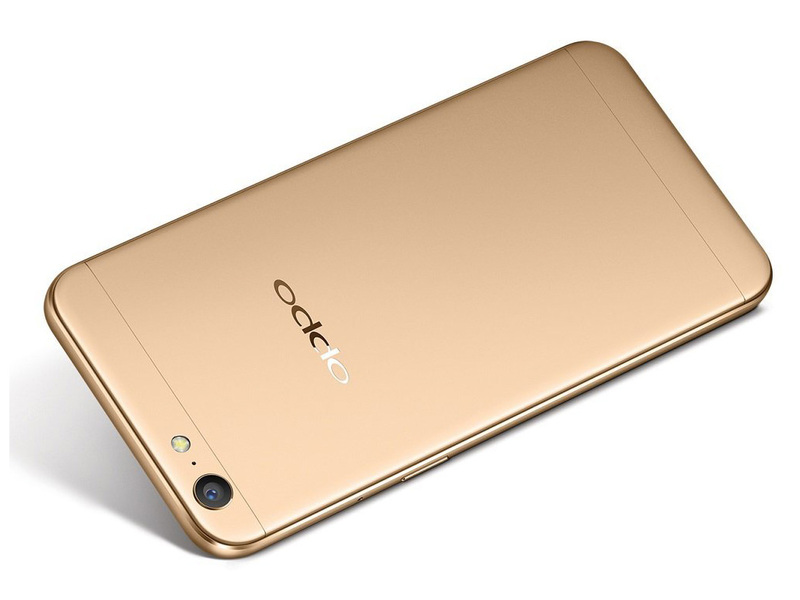 Recently, OPPO has released its newest smartphone in the form of the F7. If you haven’t read our written review for it yet, we also made video review that you can watch below. OPPO F7 Review – Worthy Upgrade? For us, it’s definitely a worthy upgrade. 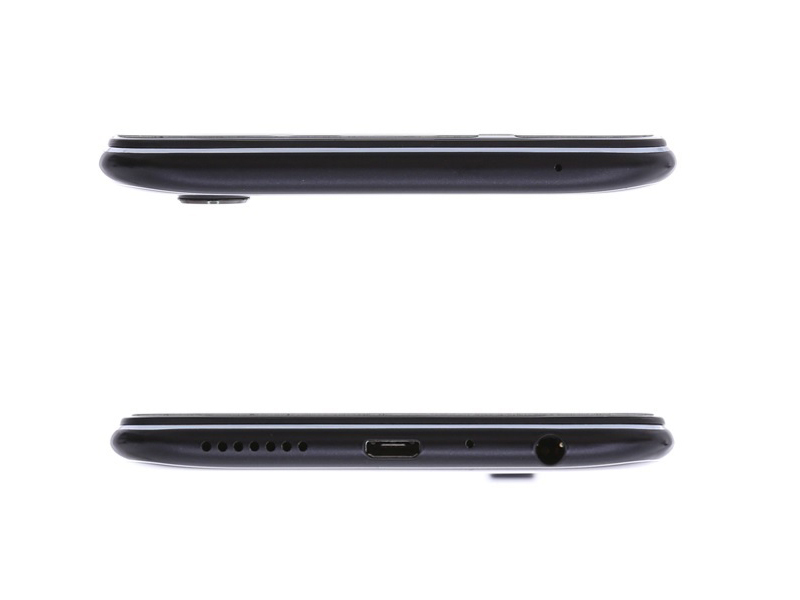 Though it’s not for people who hate the notch – let’s just hope that they’ll add the “hide notch” feature that is on the Huawei P20 series. As we have mentioned, it also doesn’t have the best mono speaker out there. But if you love taking selfies, this is one of the best in its price range as of the moment. For the price of Php 17,990, you can play high graphical games smoothly, day-to-day social media use, take great selfies, and many more. What do you think? Comment down below, like if you love the video, and subscribe if you wanna see more. There’s a place for the OPPO F7. It might not be appealing to someone who likes to tinker around with their phone or wants a stock like Android build. The OPPO F7 unashamedly takes the best features from iOS and integrates them into Color OS. It is easy to pick up and use, delivers visually appealing photos from the cameras, has enough power to run anything you throw at it and a big enough battery to last a full day and some. If you are looking for a new smartphone in the sub Rs. 25,000 bracket, the OPPO F7 should definitely be on your list. The Oppo F7 performs wonderfully well when it comes to the display and cameras. So that’s two big boxes ticked for most smartphone buyers. Having said that, the easily smudged plastic body of the device and too-cluttered OS do not work for the latest Oppo device. The Vivo V9, the handset that is in direct competition with the F7, has a better design and cleaner UI. At a starting price of Rs 21,990, the Oppo F7 is far from perfection and can be considered to be your next buy only for camera and display. One of OPPO’s strategies is to adopt the popular tech trends that are normally found in more expensive flagship devices, then implement them in their powerful mid-range devices at a lower price. They have successfully done that once again with the OPPO F7. The Oppo F7 is a good upgrade over the F5 in terms of battery life and SoC performance. The selfie camera is also easily one of the best in this phone's price range, and new additions like the Sense HDR mode and AI Beauty work well most of the time. We’re not big fans of the aesthetics as it’s a task to keep this phone looking good. The plastic body also takes away the premium feeling that most previous F-series phones prided themselves on. 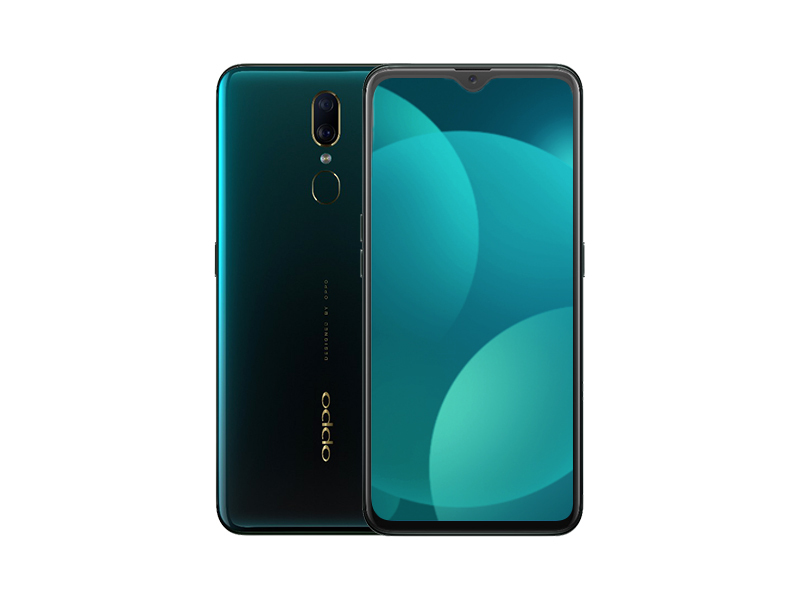 ColorOS doesn’t have a fresh enough design either, and Oppo might have gone a bit overboard with the customisations, which we don’t appreciate. Oppo has used the area around the notch well, so it’s not simply there for aesthetic value. We’ve only spent a little time with the F7 but so far, it seems like an aggressive push from Oppo considering they’ve managed to undercut the Vivo V9 by a thousand Rupees. Out of the three colours, the silver and the black are the ones we like as the red is just a little too in-your-face for our taste. We’re only just getting started with Android notches and these rectangular cut-outs are only a few of the designs that we've seen so far. Oppo themselves have secured patents for different types of notches like an inverted ellipse and an inverted triangle, so we could expect future Oppo phones to bear some of those styles too. 76% Ngoài camera selfie, công nghệ AI với nhiều ứng dụng tăng trải nghiệm người dùng là lợi thế của F7 so với đối thủ. 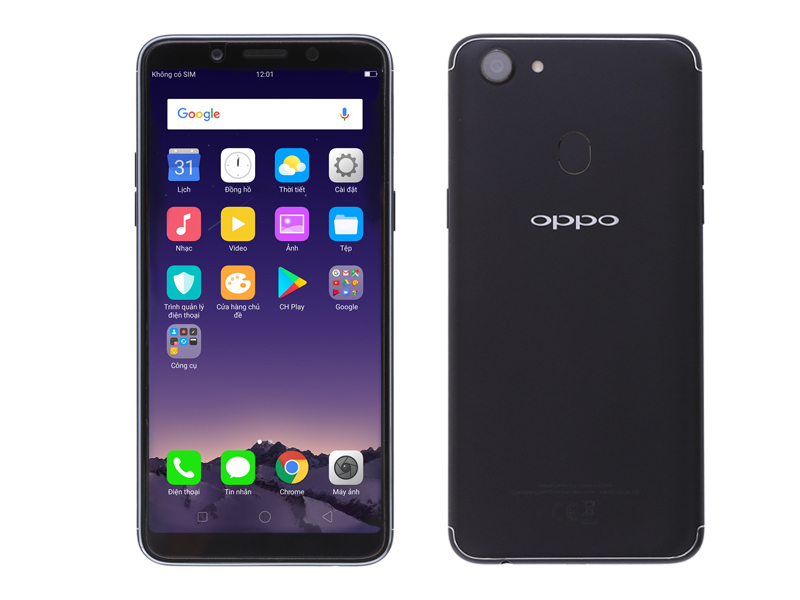 OPPO made the right decision to bring in the F7 Youth as a more affordable alternative to The F7, offering the same design and performance with a much less price at Php13,990. Despite inconveniences such as the absence of a fingerprint scanner and the LED notification light, the face unlock feature solves these concerns by waking the display to see the notifications as you raise the device and unlock the phone as it recognizes your face. The OPPO F7 Youth is definitely a bang for the buck. For only PHP 13,990 you get a smartphone equipped with an AI-powered chipset, which is Mediatek’s Helio P60, AI selfie camera, and decent battery life for its price. This smartphone can also run high graphical games with no problem and can give you great performance. Also, this phone doesn’t feature the trendy notch, which is a plus for those notch-anti-fans. The OPPO F7 Youth is priced at Php 13,990; making it a pretty solid option if you don’t want to shell out the money for its bigger siblings. Pre-orders for the device start on May 28 and will last until June 1 with an Olike Magic Music Lamp if you decide to pick it up within this period. 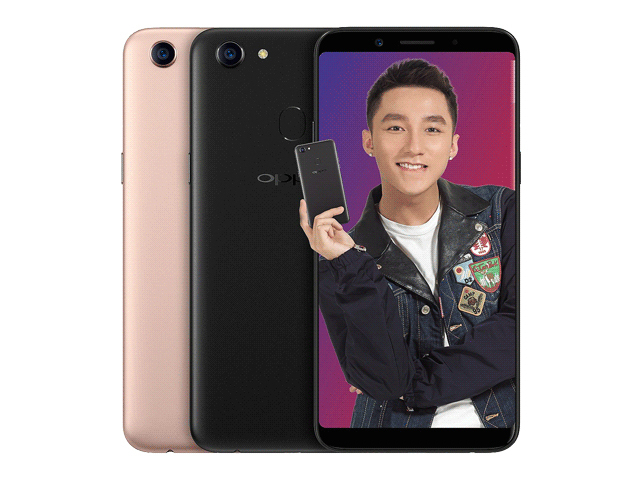 Cận cảnh OPPO F7 Youth tại Việt Nam: Thiếu tai thỏ máy có đẹp hơn? 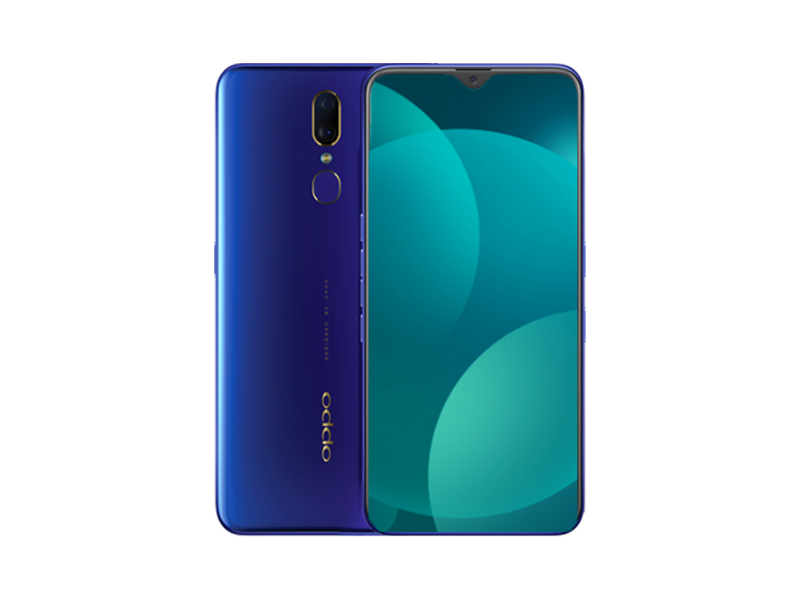 Trên tay nhanh F7 Youth: OPPO F7 phiên bản không "tai thỏ"
The version of the device we have here is called “Twilight Blue.” This phone also comes in colors called Starry Purple and Sunrise Red. Two different versions exist for RAM – both have 64GB internal storage, one has 4GB RAM, the other has 6GB. The most striking feature of the Oppo F9 is the big display with the waterdrop notch. It is well designed, delivers good battery life, and offers decent performance for the price. If you prioritise good looks over everything else, the Oppo F9 does have that going for it. On the other hand, we have competitors that offer better value for money smartphones in the same price range. If you live in a region where it’s available, the Oppo F9 offers plenty of modern smartphone features for an affordable price. The screen is nearly bezel-less with an attractive notch, it has dual cameras, and the color options are very unique. It isn’t a game-changing smartphone, but it’s another smartphone showcasing Oppo’s continued efforts in design innovation. The OPPO F9 is another step in the right direction for the company who has been slowly trying to buck the trend for this product line to make it more than just a Selfie Expert. Its performance is on par with a lot of its peers, it’s a good looking phone, and they’ve really improved on the rear camera performance too. We really have to commend the brand for taking things a step further with the F series. It’s definitely worth your consideration. With the OPPO F9, the company is once again showing that it can make great and value for money mid-range phones, the phone continues to excel what the F series is great at while improving design and hardware features without requiring users to pay more, while it does seem like a rather attractive deal for RM1399, OPPO does face tough competition in that price range, especially when devices like Xiaomi’s POCOPHONE F1 surfaces out of the blue at this point of time, offering much superior hardware internals yet priced cheaper than the OPPO F9. All in all, OPPO F9 is a smartphone with a good set of specs and features. It’s OPPO’s good contender in the upper-midrange smartphone category. Its interesting features such as the VOOC battery charging compensate some of its downsides including the struggle in focusing the subject in rear camera shooting that we encountered while testing its camera capabilities. The OPPO F9 feels more like a refinement of the F7 than a successor, but that is not to say that they are negligible. The new waterdrop screen, prettier design, increased RAM, updated OS, dual rear cameras, and a larger battery with VOOC Flash Charge, are very welcome improvements. On paper, the Oppo F9 Pro will compete with the likes of Xiaomi Redmi Note 5 Pro, Asus ZenFone Max M1 Pro, and Honor 9N, which are all priced more aggressively. However, Oppo hopes that its eye-catching designs and Super VOOC flash charging will prove to be differentiating factors. The company is hoping to appeal to young buyers with aesthetics, rather than focusing on specifications. The Oppo F9 Pro is now up for pre-order via Flipkart, and will go on sale offline and online from August 31. The Oppo F9 will be made available soon in India, the company added. Stay tuned to Gadgets 360 for our detailed review of the Oppo F9 Pro, coming up soon. 84% Đánh giá Oppo F9: Ngoài camera selfie thì còn gì nữa? 85% Đánh giá khả năng chơi game của OPPO F9: Helio P60 + 4GB RAM đã đủ chưa? Đánh giá Oppo F9: Ngoài camera selfie thì còn gì nữa? Overall, Oppo F9 Pro is a decent option for its price. But given the fact that Xiaomi just announced its Poco F1 smartphone with Snapdragon 845 processor starting at Rs 20,999, it will be a little bit difficult for me to recommend the Oppo F9 Pro wholeheartedly as far as the value-for-money is concerned. You also have the Vivo V11 Pro with similar design, better camera and more powerful Snapdragon 660 for just a couple of thousands extra. It's not easy to suggest phones in this price segment now that the Poco F1 has come in and changed the game. And while the performance of the Poco F1 is unmatched, the same cannot be said for the rest of the phone, especially with the design. The F9 Pro comes with a far more attractive look thanks to that stunning gradient design on the back. It also brings one of the best notched displays you can find right now. The Waterdrop notch just works because it is the least intrusive notch in the market right now that allows for a more immersive and distraction-free viewing experience. The Oppo F9 Pro reminds us of the early 2000s when Nokia, Samsung, Sony Ericsson, and others used to come up with wildly imaginative designs all the time. Very few phones these days take any risks with colours, patterns, shapes or materials. The ones that do are usually trying to be high-end and sophisticated, leaving no room for edgy or whimsical options. Oppo obviously knows that the F9 Pro's aesthetic won't be for everyone, but that's okay. People who are most concerned with practicality have plenty of other choices anyway. If a bright red and purple phone makes you happy, then by all means, go for it. The Oppo F9 Pro certainly looks stunning. The design including the gradient glass back and the water drop notch does make the phone stand out. The new UI also helps make the phone look more premium. But it’s performance leaves a lot to be desired, especially considering the price it’s offered at and the competition. The Snapdragon 845-powered Poco F1 is available at a lower price point while the Nokia 7 Plus is an all-rounder in terms of performance and imaging. The primary (if not the only one) reason to get the Oppo F9 Pro is for its selfie camera that relies on extensive AI algorithms to deliver results that are both eye-pleasing and well-detailed. 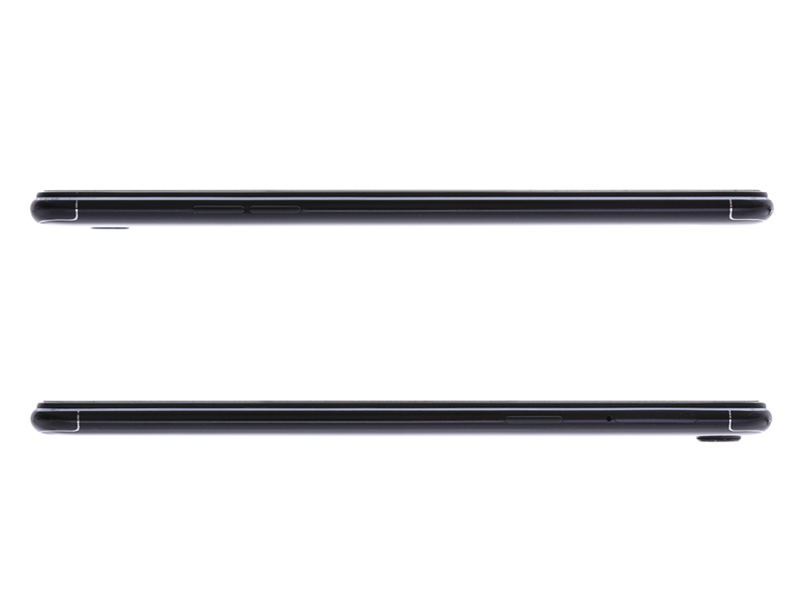 The VOOC charging tech is also nullified somewhat by a poor battery life. Get this only if you are a selfie enthusiast and consider your smartphone to be a fashion statement. When it comes to the Oppo F9 Pro, the handset passes with flying colours in terms of design and display and to an extent in the camera department as well. It also manages to charge quickly like the OnePlus 6, which is quite impressive. If that is what you are looking for in your next smartphone, then the Oppo F9 Pro will not disappoint you. The Oppo F11 Pro offers a complete package for its price. 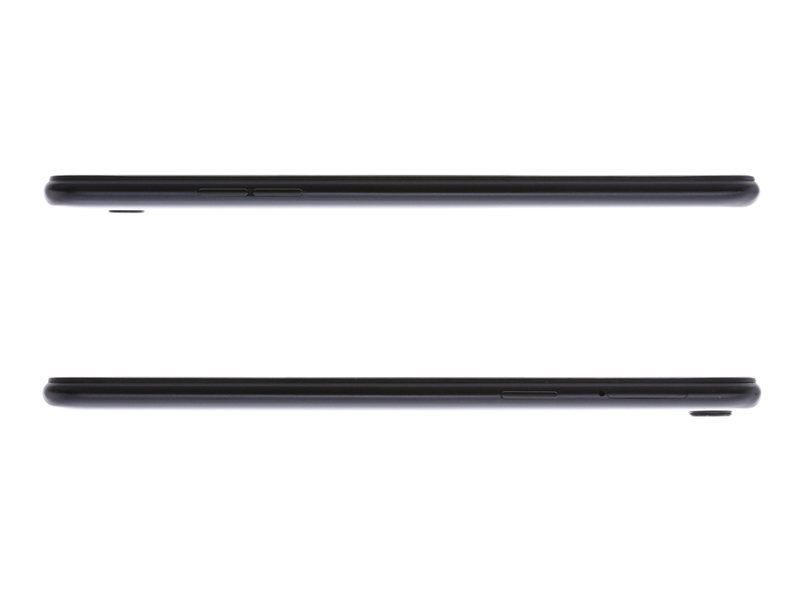 It brings and attractive gradient design with a strong but heavy build quality. You get an immersive, bezel-less display with no notch or hole-punch, and a long-lasting battery with VOOC fast charging that can easily take you through a full day and then some. You also get a great camera system backed by a 48MP camera and an impressive Nightscape mode. Now considering all these highs and lows, let me start by saying that the F11 Pro doesn’t look cheap at all, believe me, it looks even better in person. You get an awesome edge-to-edge display, good battery, great cameras for photography, smooth security, and a balanced performing phone that can handle most of what you throw at it. The Oppo F11 Pro's pop-up camera liberates space at the top of the display for a sleek, modern look. Yes, it is a moving mechanism and could get damaged by drops or by dust and grime getting into it, but it's also a great talking point. The battery life of this phone is impressive, and the VOOC fast charger does help topping the battery up quickly. With an eye-catching design and nifty features like rising camera, OPPO F11 Pro is surely going to be one of the most promising smartphones. Having the great camera setup and amazing performance it’s surely going to heat up the midrange smartphone market. We give the OPPO F11 Pro a thumbs up for its Rising selfie camera and Dual Rear camera, stunning design, massive battery, amazing overall performance. Oppo F11 Pro First Impressions: Oppo’s pop-up selfie camera gamble! Oppo F11 Pro is one of the best-designed smartphones we have seen in this price band. The gradient finish gives a premium look and the display looks immersive. The processor is good, though it will have a tough time competing with the competition. The cameras look impressive and the battery capabilities are yet to test out. As for the competition is concerned, the smartphone will have a tough competition with Vivo V15 Pro, Nokia 8.1, Xiaomi Poco F1 and Samsung Galaxy A50. The Oppo F11 Pro is priced at 24,990 rupees (~$350) and goes on sale in India starting March 15. 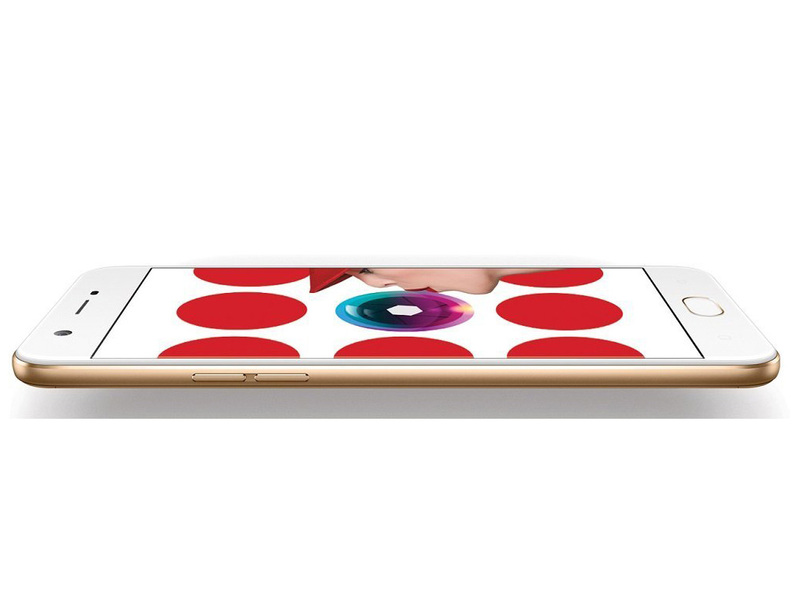 Oppo is aiming at making the phone available across online and offline retail channels. With its combination of an eye catching design and nifty features like the pop up camera, the phone should definitely attract a lot of eyeballs on the shelves. Oppo has traditionally been very active with marketing in the offline channel and we feel a non-spec-driven audience might find a lot to like in the Oppo F11 Pro. Trên tay, đánh giá nhanh OPPO F11 & F11 Pro tại Việt Nam: Đẹp “chói lóa”! Bara vissa äldre spel kan spelas flytande med de här grafikkorten. Kretsar med delat minne har fördelen att de utvecklar mindre värme och ger längre batteritid. De duger gott för kontorsbruk, surfande och enklare bildbehandling, men spel och HD-video är inte i syftet med de här kretsarna. ARM Mali-T860 MP2: Qualcomm Adreno 510: Qualcomm Adreno 505: En del nyare spel kan spelas med de här grafikkorten, men bara om de är mindre krävande. De har ändå tillräcklig kapacitet för kontorsbruk och film (möjligen högupplöst). Är grafikkretsen dessutom integrerad kan batteritiden vara utmärkt. ARM Mali-G71 MP2: ARM Mali-G72 MP3: ARM Mali-T880 MP2: » Mer information finns i vår jämförelse av mobila grafikkort och motsvarande benchmarklista. Åttakärnig SoC från lägre mittenskiktet med ARM Cortex-A53 klockad i upp till 1.4 Ghz, en Adreno 505 GPU, en DDR3L-1600 minneskontrollenhet samt ett X9 LTE (Cat. 7) modem. Åttakärnig ARM-baserad SoC (4 st Cortex-A53 på 1.65 GHz för energieffektivitet and 4 st Cortex-A53 på 2.3 - 2.5 GHz) för smartphones och surfplattor. » För att ta reda på mer om skärmupplösning, läs vår DPI-lista. Väldigt få smartphones väger mindre än så här. Den här vikten är typisk för smartphones. 74.48%: Det här betyget är dåligt. De flesta bärbara datorer får högre betyg i genomsnitt. Ett köp är inte att rekommendera. » Mer information finns i vår köpguide för bärbara datorer.